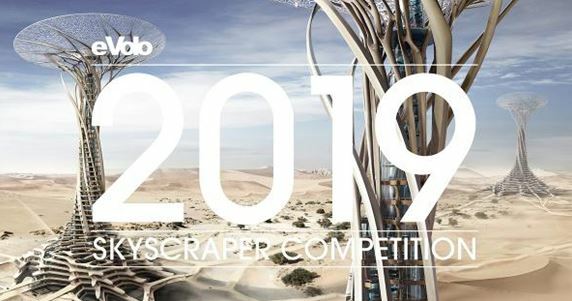 22 August 2018: eVolo Magazine is pleased to invite architects, students, engineers, designers, and artists from around the globe to take part in the 2019 Skyscraper Competition. Established in 2006, the annual Skyscraper Competition is one of the world’s most prestigious awards for high-rise architecture. It recognizes outstanding ideas that redefine skyscraper design through the implementation of novel technologies, materials, programs, aesthetics, and spatial organizations along with studies on globalization, flexibility, adaptability, and the digital revolution. It is a forum that examines the relationship between the skyscraper and the natural world, the skyscraper and the community, and the skyscraper and the city. 20 April 2018: eVolo Magazine is pleased to announce the winners of the 2018 Skyscraper Competition. The Jury selected 3 winners and 27 honorable mentions from 526 projects received. The annual award established in 2006 recognizes visionary ideas- projects that through the novel novel use of technology, materials, programs, aesthetics, and spatial organizations, challenge the way we understand vertical architecture and its relationship with the natural and built environments. The first place was awarded to Skyshelter.zip designed by Damian Granosik, Jakub Kulisa, and Piotr Pa?czyk from Poland. The project is a foldable skyscraper inspired by origami that could be easily transported and deployed in disaster zones. Thehonorable mentions include Sandscrapers that prevent desertification, floating skyscrapers that transform ocean water into fresh water, towers that collect fog in arid regions, 3-D printed buildings, and volcano skyscrapers among other visionary proposals. 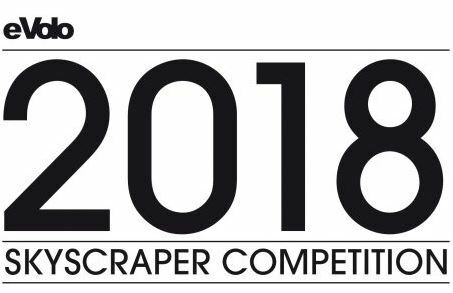 9 January 2018: The registration deadline for the 2018 Skyscraper Competition is January 23, 2018. eVolo Magazine is pleased to invite architects, students, engineers, designers, and artists from around the globe to take part in the 2018 Skyscraper Competition. 20 July 2017: eVolo Magazine is pleased to invite architects, students, engineers, designers, and artists from around the globe to take part in the 2018 Skyscraper Competition. Schedule: July 10, 2017: Competition announcement and registration for the eVolo 2018 Skyscraper Competition opens. November 14, 2017: Early registration deadline. January 23, 2018: Late registration deadline. February 6, 2018: Project submission deadline (23:59 hours US Eastern Time) and April 10, 2018: Winners’ announcement. eVolo Magazine announced the winners of the 2017 Skyscraper Competition. The Jury selected 3 winners and 22 honorable mentions from 444 projects received. The firts place was awarded to Pawel Lipi?ski and Mateusz Frankowski from Poland for the project Mashambas Skyscraper. The design proposes a modular and scalable skyscraper conceived as an educational center and marketplace for new agricultural communities in sub-Saharan Africa. The design seeks to increase farming opportunities and reduce hunger in these regions. Vertical Factories in Megacities designed by Tianshu Liu and Linshen Xie from the United States received the second place . The design investigates the benefits of moving factories back to megacities. The proposal calls for a series of alternating architectural layers- factories and recreational areas stacked together to create a vertical structure. Each recreational layer would feed from the waste and resources of these factories.